They didn’t have to sell me — most of the time, my mom didn’t let us eat hot lunch at school because it wasn’t very healthy. Instead, she’d pack up fresh fruit and veggies alongside sandwiches and skim milk for us. But on the rare occasion that we got to buy lunch at school, it was awesome — especially on chicken fried steak day. I find it weird that I’m an adult who has been vegetarian most of my life now, but I could not get enough chicken fried steak back in elementary school. Pair it with tater tots and over-boiled grayish green beans and you’ve got a classic early 90s school lunch. 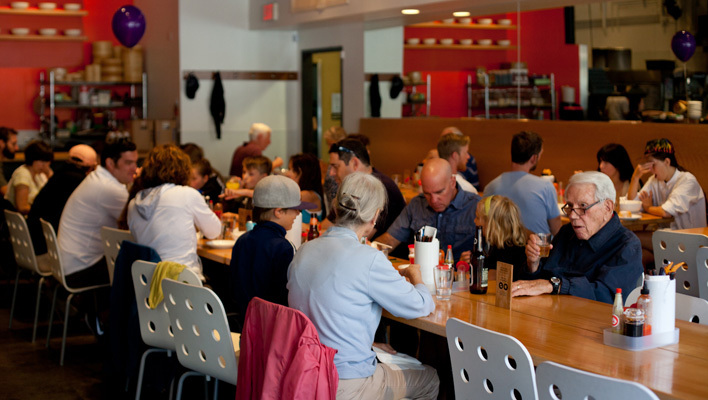 Absolutely nothing about Boke Bowl resembles school lunch, except for the long table running the length of the restaurant. Something about eating in the company of strangers takes me back to my cafeteria days. The food here is far more complex and wonderful than all that business. My favorites at Boke Bowl are the vegan rice bowl and the caramelized fennel ramen (try a side of rice tots!) 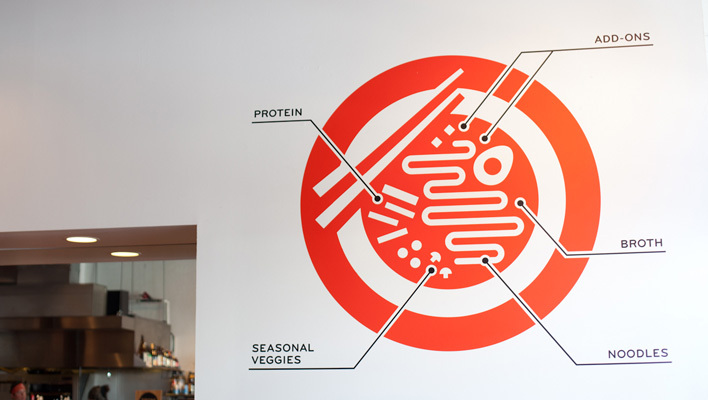 Most days, this is exactly what I want for a complex and yummy lunch. 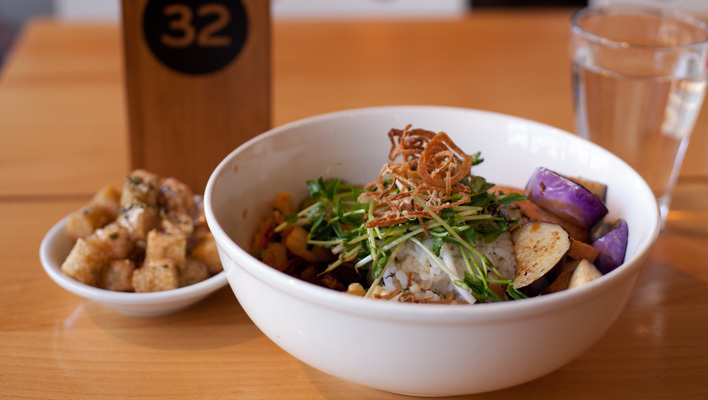 Boke Bowl is at 1028 SE Water Ave. in SE Portland’s industrial district, just a short walk from the waterfront and Eastbank Esplanade. Stand in line — it’s worth it. The police came, discerned that the couple were extremely high, lectured them through the paper-thin walls for a good long time and then finally left close to 2 a.m. We never saw a single other person so much as poke their head out to see what was wrong — which was just impressive since this was a hotel with shared bathrooms down the hall. I certainly hope no one ever tries to murder me in a hotel room. The weekend was a total bust, which was extra disappointing because I had planned the whole thing as a surprise for Eric. Later in the summer, he knocked it out of the park with a surprise weekend away for me. But for awhile the morning after the weird domestic incident in our hotel, we did have a fabulous breakfast under that neon COFFEE beacon. 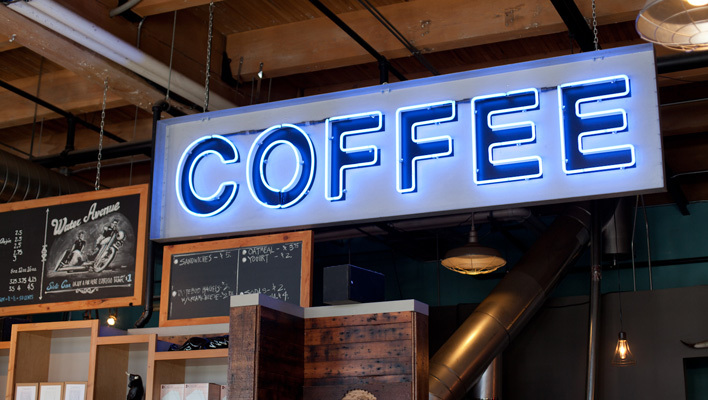 They have one of those at Water Avenue Coffee too — although this one is blue. They serve really high-quality coffee that’s roasted about 10 feet away right in the same building. 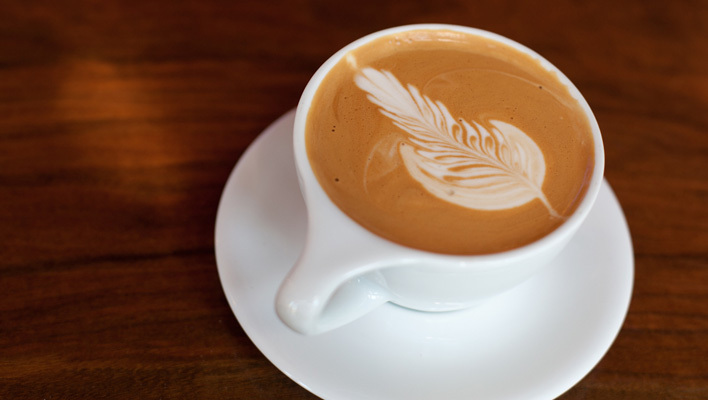 It’s tasty, simple and you can buy some beans to make at home or sit in the pleasant little shop on the couch and do what Portlanders do — work, surf and otherwise set up a combo mainline of coffee and wi-fi. 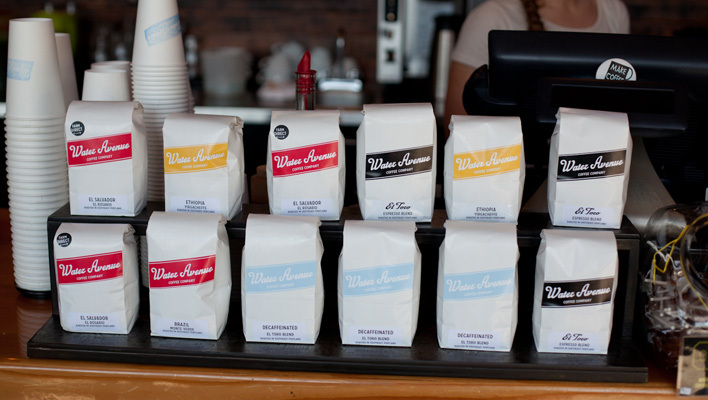 Water Avenue Coffee is a local coffee roaster and shop in SE Portland’s industrial district, located at 1028 SE Water Ave. Check out their blog for more.